Welcome to April, Avantees! This week has been an active one with new merchant launches. 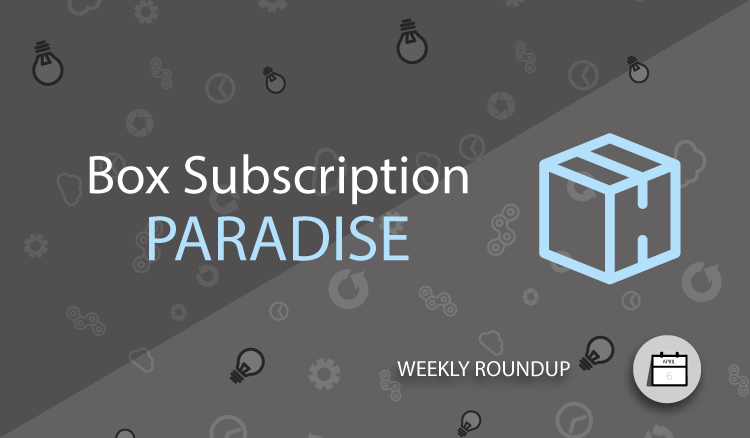 Five new programs have gone live in the past few days, with three being monthly box subscription programs. There is a reason these monthly services are so popular, and as an affiliate, they offer very unique opportunities to earn commissions on products that has a very low-barrier to participation. Plus most of the boxes feature really cool items. More on that in a moment. First, though, is a question we’d like merchants to ask themselves. When was the last time you updated your program description page? Last week, maybe? Last year, perhaps? Or are you thinking “I can update my program description page?”. No matter your answer, take a look at this week’s “6 Keys To Writing Excellent Program Description Pages” article for tips on putting together the most effective descriptions possible. BBQ Box delivers a premium selection of spices, sauces, rubs and recipes each month to your door. Hand crafted selections from BBQ legend Myron Mixon will make any cookout a success! Be prepared to be the king of the neighborhood grill when you start cooking with the awesome products in each BBQ Box. Apply to the BBQ Box affiliate program. MountainSteals.com was born out of a desire for more…. and for less: More of the best outdoor products from the top brands for less money. Get the full scoop and apply to the Mountain Steals affiliate program here. For less than a dollar a day, Boomtown Box will send you a box of 3 to 5 awesome items – hand selected for guys! Sent out monthly, the box will include items curated by the creative Boomtown team that are guaranteed to bring the good times. It will be new and exciting each month, and will include items for beer drinking, cocktail items, items for the great outdoors, items for cooking and barbecuing, shirts, socks, manly snacks, and much more. Apply to the Boomtown Box affiliate program. Spec Ops Global is a monthly subscription box that delivers the best in tactical gear from around the world. Join the world’s elite forces by getting the same gear they use on the battlefields and abroad. With three different levels to chose from there’s a box that fits everyone needs. Apply to the SpecOps Global affiliate program. Since Rokform was founded by veterans of the powersports industry, we get to draw on their expertise of high tech materials and manufacturing methods which you’d normally find in aircraft and high performance racing vehicles. These methods and materials make up the really cool, award winning phone cases and accessories you see today. Apply to the Rokform affiliate program. Acadima offers the largest online selection of graduation apparel and accessories for your preschool, kindergarten, elementary, middle school, high school or university graduation. Acadima offers affordable pricing, secure and safe ordering and options for free shipping as well as fanatical customer service. Find out why Acadima.com has become the web’s number one graduation cap and gown outfitter. Apply to the Acadima affiliate program.